Stella Hawkins painstakingly creates silver wire wrapped jewellery pieces with an eye toward both aesthetics and functionality. She holds to strict quality standards for her work that includes balance, quality materials and aesthetic value. At Artfest, Stella will offer on the spot customization of any piece. Posted on December 5, 2018 by Lory MacDonald and filed under Jewellery and tagged ArtfestChristmas #ChristmasCrafts #ygk #ygkarts #kingston #ChristmasShopping #Gp_Vgt. White Lotus Design's line of contemporary jewellery features sculptural wire-woven gemstone necklaces, earrings, rings and cuff bracelets all handcrafted using time-honoured skills. 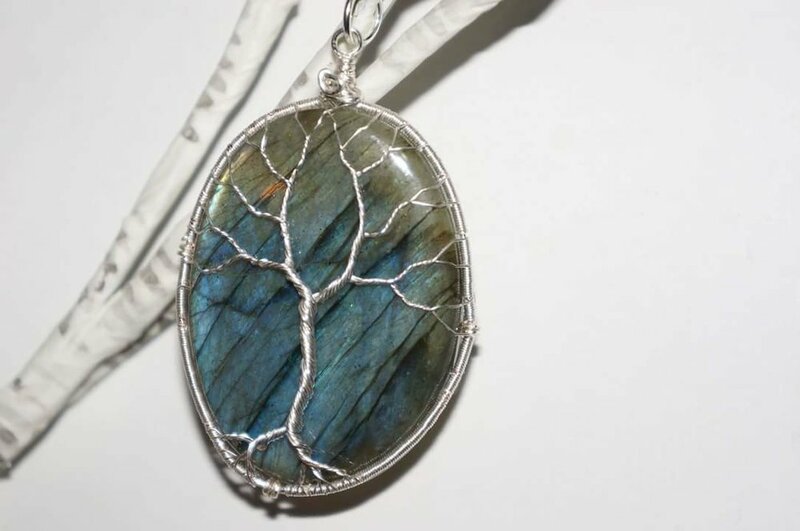 From her home studio in Kitchener, Edina Racz transforms silver wire, sheet metal, stones and glass into wearable art. Posted on December 4, 2018 by Lory MacDonald and filed under Jewellery, Accessorie and tagged ArtfestChristmas #ChristmasCrafts #ygk #ygkarts #kingston #ChristmasShopping #Gp_Vgt. Charisma is inner style. Find yours with jewelry of hand-painted and patina'd brass, resin, streampunk, wire, natural and crystal beads by Karizma. Posted on December 4, 2018 by Lory MacDonald and filed under Jewellery and tagged ArtfestChristmas #ChristmasCrafts #ygk #ygkarts #kingston #ChristmasShopping #Gp_Vgt. Based in Toronto, Irina Rapaport Jewellery and Textiles is a slow fashion design studio whose mission is to create and make unique jewellery and clothing. 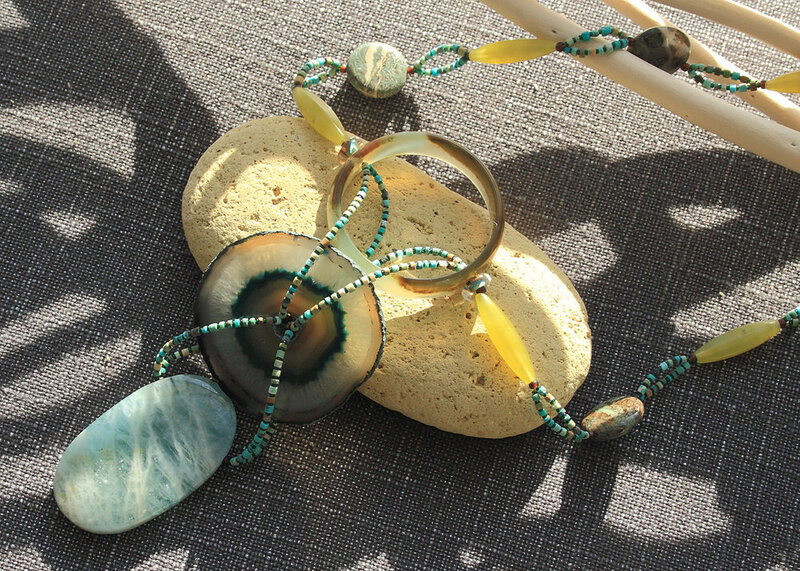 Carefully handmade in her studio, these wearable art objects are produced in small series of one of a kind pieces, which you will find in our online store, at her studio open house or at craft shows in and around Toronto. Each object is handmade. The charm of tiny imperfections is inherent to craftwork, such as a quirky piece of fabric or a polka dot bead made from scratch, or subtle flaws left by the work of time on old materials. Every one of her pieces is born with particular features which make it unique, not always perfect, but definitely authentic. Posted on December 1, 2018 by Lory MacDonald and filed under Jewellery, Clothing and tagged ArtfestChristmas #ChristmasCrafts #ygk #ygkarts #kingston #ChristmasShopping #Gp_Vgt. From a tiny cabin nestled in B.C. 's Kootenay Mountains, RAW creates traditionally handcrafted metalwork jewellery infused with foraged exotic seeds, raw crystals, wild crafted bones, quills, antler and organic treasures. For the wild spirit. Posted on November 20, 2018 by Lory MacDonald and filed under Jewellery and tagged ArtfestChristmas #ChristmasCrafts #ygk #ygkarts #kingston #ChristmasShopping #Gp_Vgt. Aurora Simmons of Handmade Revolution creates unique jewellery inspired by nature and handcrafted in Toronto. 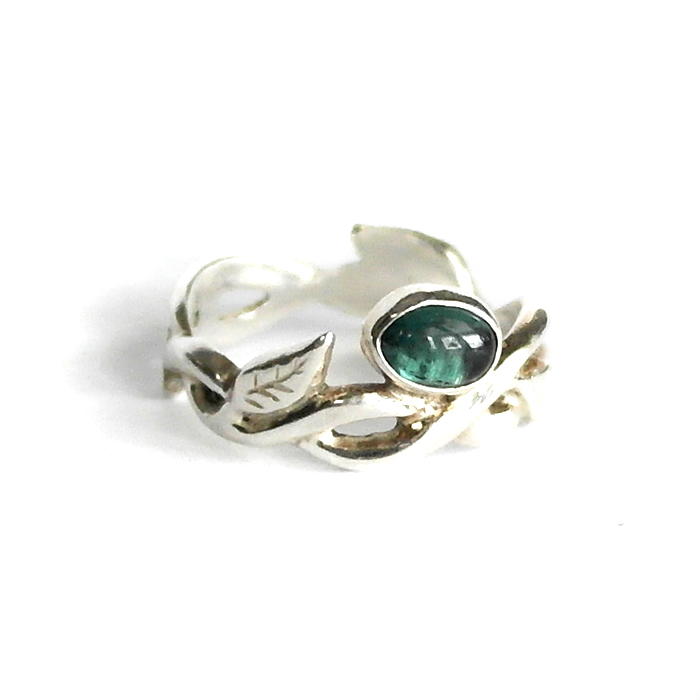 Aurora has been crafting all her life and has been a goldsmith since 2008. She loves to work with metal, fabric and leather. Her work includes custom engagement rings, belts and historical reproduction jewellery. Posted on November 16, 2018 by Lory MacDonald and filed under Jewellery and tagged ArtfestChristmas #ChristmasCrafts #ygk #ygkarts #kingston #ChristmasShopping #Gp_Vgt. For London, Ontario based Miranda Scott of Van Raay Jewelry, fashion accessories are organic, modern and a little bit geeky. 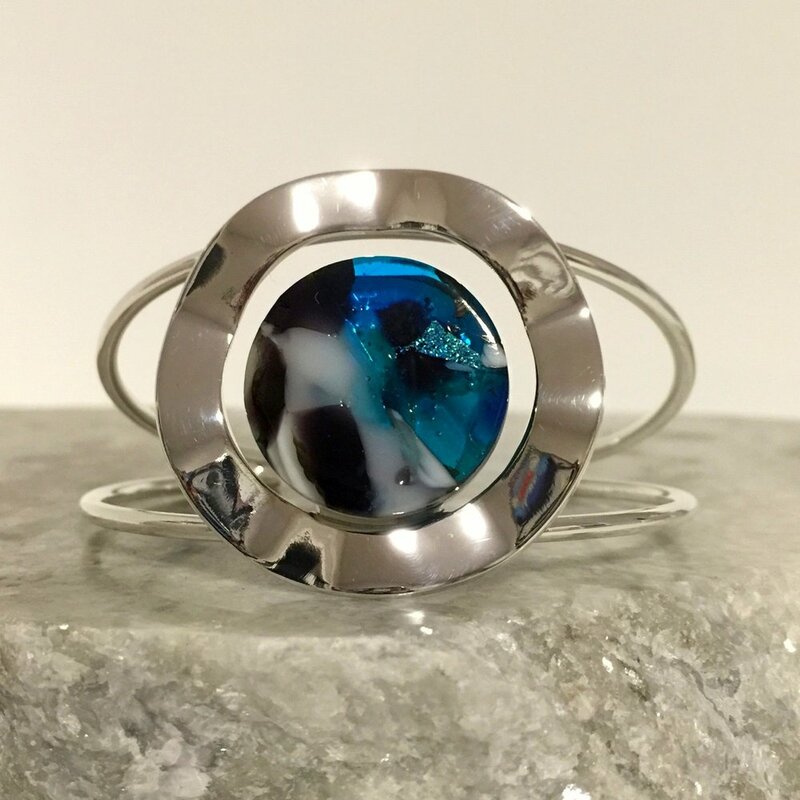 A graduate of the Jewellery Arts program at George Brown College in Toronto, Miranda creates contemporary silver and gold designs, with carefully selected minerals and gemstones that have been mined and hand cut by the artist herself. Posted on November 13, 2018 by Lory MacDonald and filed under Jewellery, Accessorie and tagged ArtfestChristmas #ChristmasCrafts #ygk #ygkarts #kingston #ChristmasShopping #Gp_Vgt. While studying silversmithing, jewellery construction and casting, Myra Kostiw became interested in the history of jewellery and its symbolism in different cultures. With materials collected from travels to South Africa, Morocco, Thailand, Nepal and India, she began designing and constructing jewellery inspired by tribal and nomadic cultures of the world. Angel's Wing Jewellery makes a unique gift. Posted on November 8, 2018 by Lory MacDonald and filed under Jewellery and tagged ArtfestChristmas #ChristmasCrafts #ygk #ygkarts #kingston #ChristmasShopping. Bee Kind Organics and Coyote Tales share space for a wonderful gift selection of beeswax products, essential oil perfumes and copper and silver jewellery with mineral stones. Posted on November 8, 2018 by Lory MacDonald and filed under Jewellery, Body Care, Home Decor and tagged ArtfestChristmas #ChristmasCrafts #ygk #ygkarts #kingston #ChristmasShopping. Jewellery designer Tanya McCormick's passion is working with copper, brass and silver to creating unique wearable pieces of art. 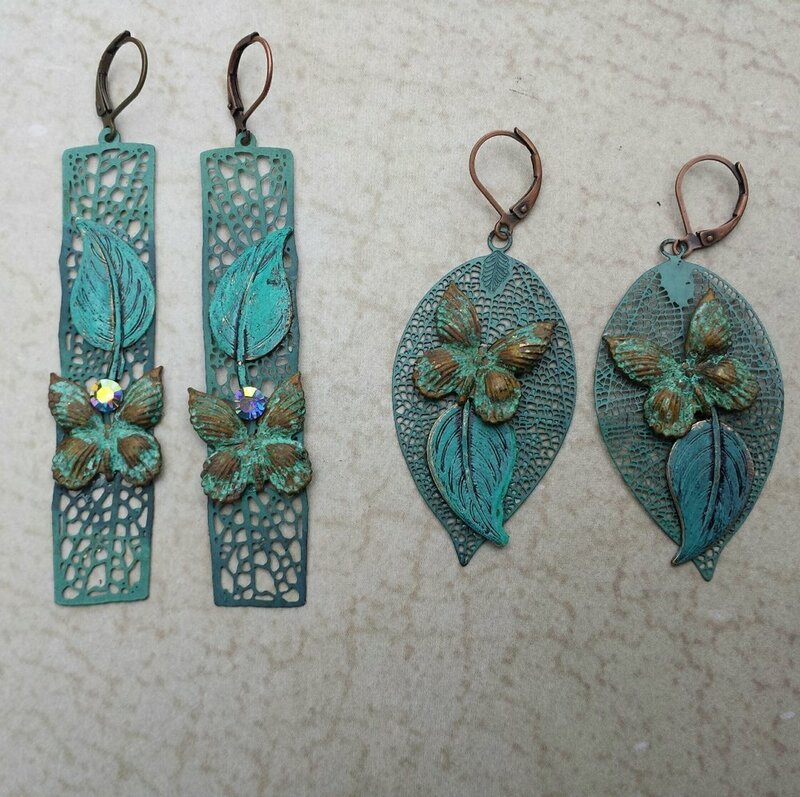 Along with her handcrafted copper and gemstone jewellery, Tanya will be showing pieces of her mixed media art. Posted on November 7, 2018 by Lory MacDonald and filed under Jewellery, Paintings and tagged ArtfestChristmas #ChristmasCrafts #ygk #ygkarts #kingston #ChristmasShopping. The Tima Collection is beautiful, hand crafted Canadian jewelry following the ancient tradition of wearing jewelry for healing, protection, inspiration and transformational purposes. They specialize in copper, semi-precious stones and recycled Canadian pennies. Most pieces are one of a kind, hand sculpted from half copper wire, while others are from a wide variety of materials including silver and brass. Posted on November 6, 2018 by Lory MacDonald and filed under Jewellery and tagged ArtfestChristmas #ChristmasCrafts #ygk #ygkarts #kingston #ChristmasShopping. 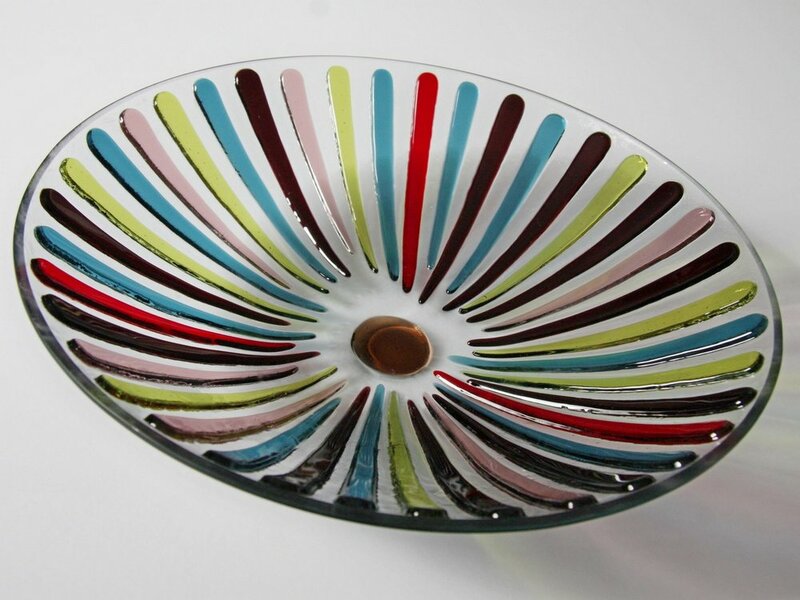 Sarah Dionne creates functional and decorative warm glass art, home decor items and fused glass gift items. A military wife, Sarah has lived in many places around the country. Now settled in Stirling, Sarah works and teaches classes in her home studio. Posted on October 30, 2018 by Lory MacDonald and filed under Glass, Home Decor, Jewellery and tagged ArtfestChristmas #ChristmasCrafts #ygk #ygkarts #kingston #ChristmasShopping. 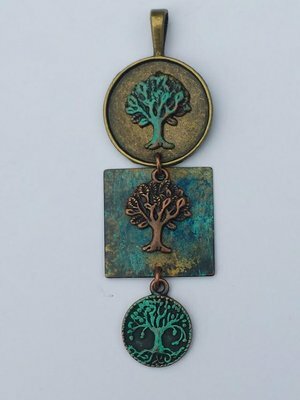 Alicia Moore's Tree of Life Pendants are her most popular piece. 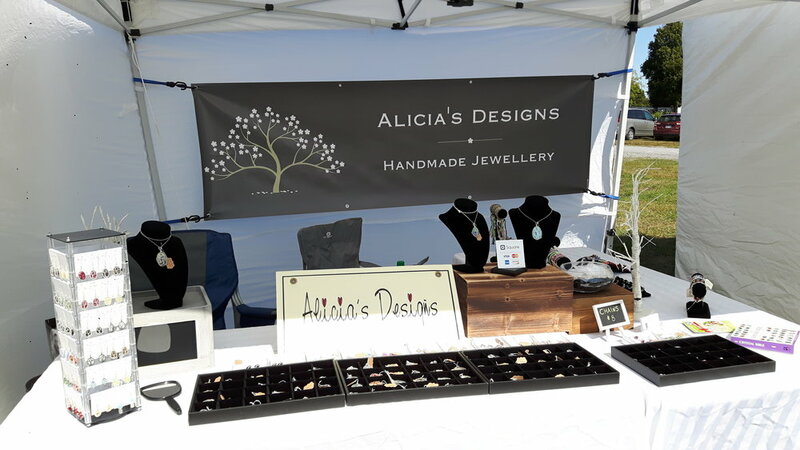 She is a self taught jewellery designer originally from Peterborough and her one of kind stone and wire jewellery will fit every taste and price range. Posted on October 29, 2018 by Lory MacDonald and filed under Jewellery and tagged ArtfestChristmas #ChristmasCrafts #ygk #ygkarts #kingston #ChristmasShopping. 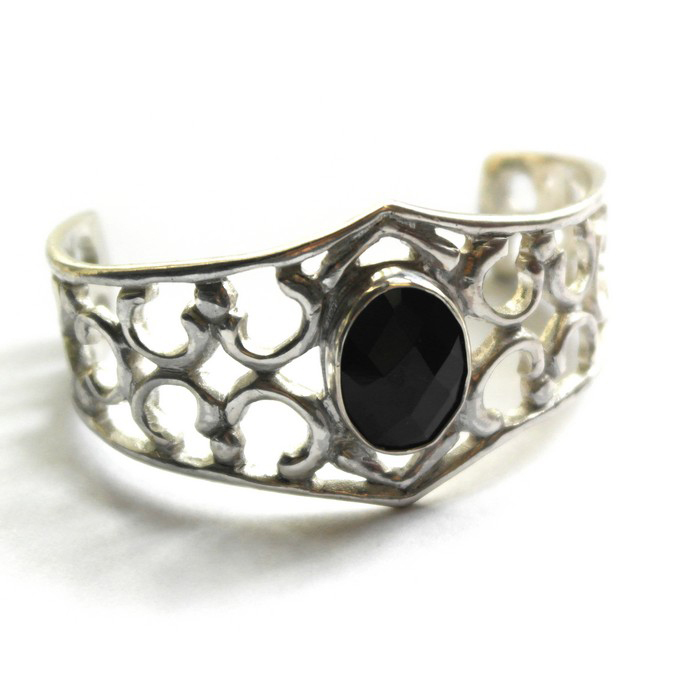 Whitney Haynes is a popular Kingston jewelry designer and silversmith. Her work speaks strongly of Canadian rural history, framing natural elements of birch bark and leather with sleek silver and resin accents. It is this connection to Canada that drives Whitney to source locally, nationally, and ethically; forever aiming to give her work an authentic and approachable identity. The birch bark featured throughout her collection is hand foraged from naturally fallen birch trees and carefully preserved in resin. Pieces are accented with high quality sterling silver that has been sculpted and cast into organic shapes. Whitney uses recycled sterling silver whenever possible and is careful to keep the environment at the forefront of her business ethics. Posted on October 23, 2018 by Lory MacDonald and filed under Jewellery and tagged #ArtfestChristmas #ChristmasCrafts #ygk #ygkarts #kingston #ChristmasShopping. Posted on October 10, 2018 by Lory MacDonald and filed under Jewellery and tagged #ArtfestChristmas #ChristmasCrafts #ygk #ygkarts #kingston #ChristmasShopping. Glass By Jo creates handcrafted fused glass home decor and jewelry. The technique of glass fusing involves stacking, or layering thin sheets of glass, often using different colors to create patterns or simple images. The piece is then placed inside the kiln and heated until the separate pieces begin to bond (fuse) together. All of Jo’s creations are hand made with great care in her studio in Whitby, Ontario. Each piece is unique and durable enough to be enjoyed for years to come. Posted on October 5, 2018 by Lory MacDonald and filed under Glass, Jewellery, Home Decor and tagged #ArtfestChristmas #ChristmasCrafts #ygk #ygkarts #kingston #ChristmasShopping. BeadKRap was founded in 2004 by lampwork artist Karen Reece. 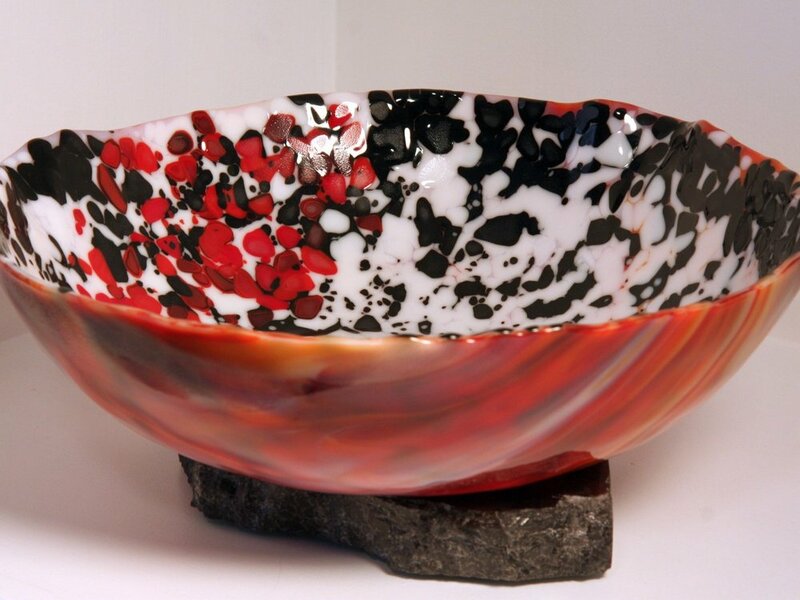 Her studio produces handmade lampwork (torchwork) glass beads using a torch and glass rods. Karen then works the beads into handmade jewelry using silver and copper findings and accessory beads. 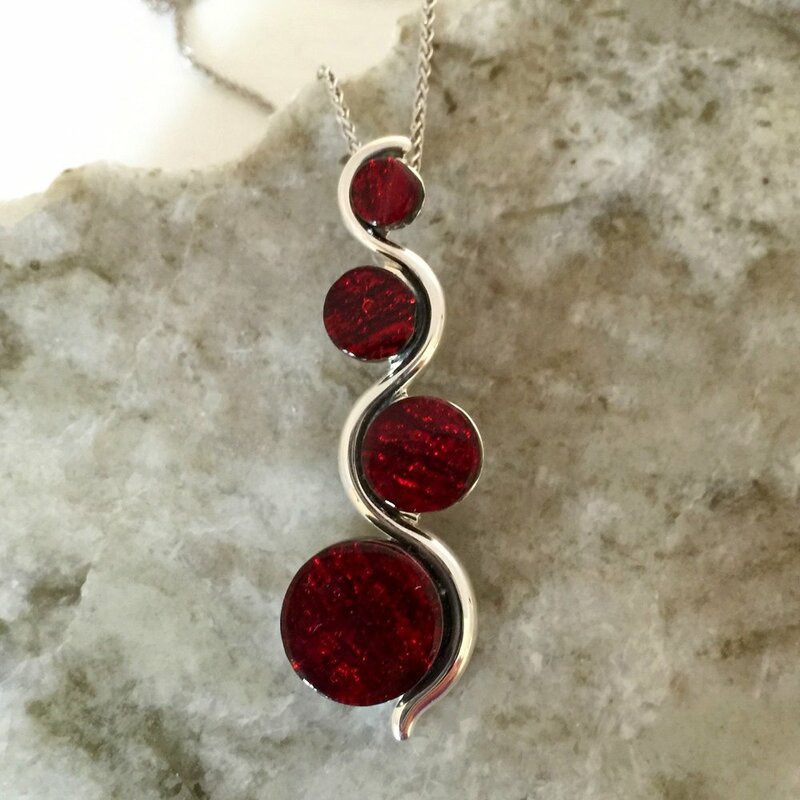 Karen's jewellery is perfect for the unique and stylish person on your list. Posted on October 2, 2018 by Lory MacDonald and filed under Jewellery, Glass and tagged #ArtfestChristmas #ChristmasCrafts #ygk #ygkarts #kingston #ChristmasShopping. Kate Slater of Adelais creates contemporary hand crafted fine jewellery, working with gold, silver, precious and semi-precious stones. Her work is distinctive and showcases the simple beauty in raw metal and natural gemstones, while adding a modern twist. Posted on September 28, 2018 by Lory MacDonald and filed under Jewellery and tagged #ArtfestChristmas #ChristmasCrafts #ygk #ygkarts #kingston #ChristmasShopping.